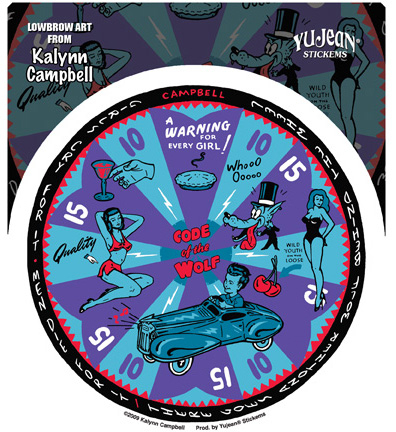 A retro spin, this "Code of the Wolf" dartboard is a warning for every girl! 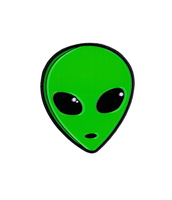 Lightning bolts shoot from the center, retro girls clad in swimsuits, a suited wolf with his tongue on the ground, martini glass, cherries, and a youthful boy driving an ol' jalopy. 4 3/4" diameter die cut sticker. Weather-resistant, extra long-lasting.Artist: Kalynn Campbell.